Metallic Grid Enclosures, ideal to separate areas within storage area, to build cages for picking and packing processes, to enclose spaces within Metallic Rack Systems in order to offer security to certain products or to enclose the storage area with access doors. Metallic Steel Enclosures, ideal to separate areas within storage area when it is necessary to avoid visual contact and the exchange of atmospheres between the two zones. Specially used for applications in Laboratories or Distribution Centres of medical products, food, etc., where topics like smells, aromas or fragrances are very important for the products. 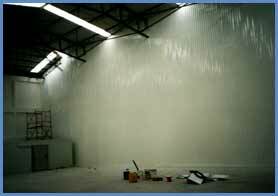 It is also used when toxic products are handled or in dust free areas, where there is a positive pressure within storage area. 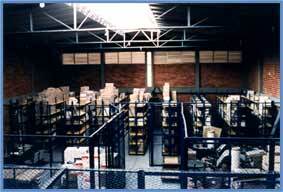 Metallic Steel Enclosures offer a complete seal, which is a must in this type of special storage.